I always pay attention when King Arthur Flour announces their recipe of the year. It’s always a winner–they are an admirable bunch of bakers! 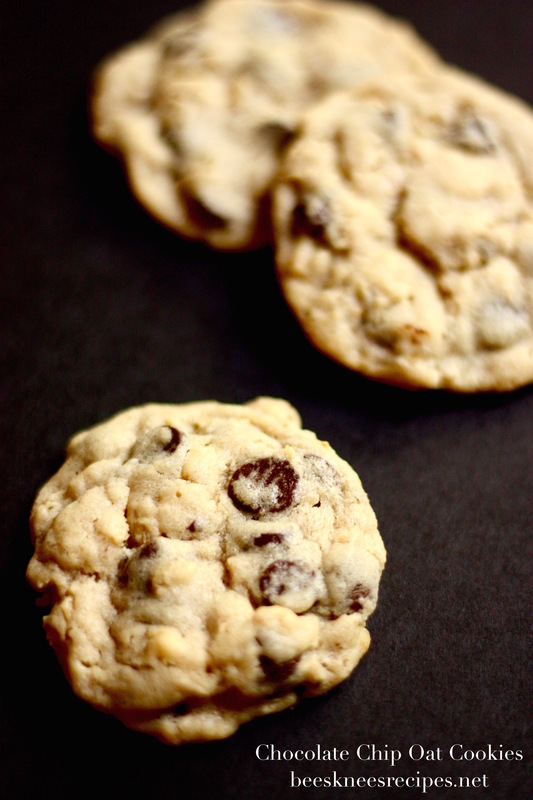 This easy cookie recipe is delicious and simple, and the perfect after-school or dinner snack. The little bit of oats helps give the cookies some yummy texture, and I’m also happy to report that chilling it doesn’t improve the shape that much, so if you’re like me and hate chilling dough because you want the cookies fast, you can just pop them in the oven without feeling bad. Beat together the butter and sugars until smooth. Add the egg, egg yolk, and vanilla one at a time, beating well after each. Whisk together the flour, oats, baking powder, baking soda, and salt, and add to the butter mixture in the bowl. Mix until everything is thoroughly incorporated. Scrape the bottom and sides of the bowl, and mix briefly, then stir in the chocolate chips. Scoop the dough onto the prepared baking sheets, leaving about 1 1/2″ to 2″ between cookies, and bake the cookies for 12 to 17 minutes, until they’re a light golden brown, with slightly darker edges. Their middles may still look a tiny bit shiny; that’s OK, they’ll continue to bake as they cool on the pan. Remove the cookies from the oven, and as soon as they’re set enough to handle, transfer them to racks to cool.